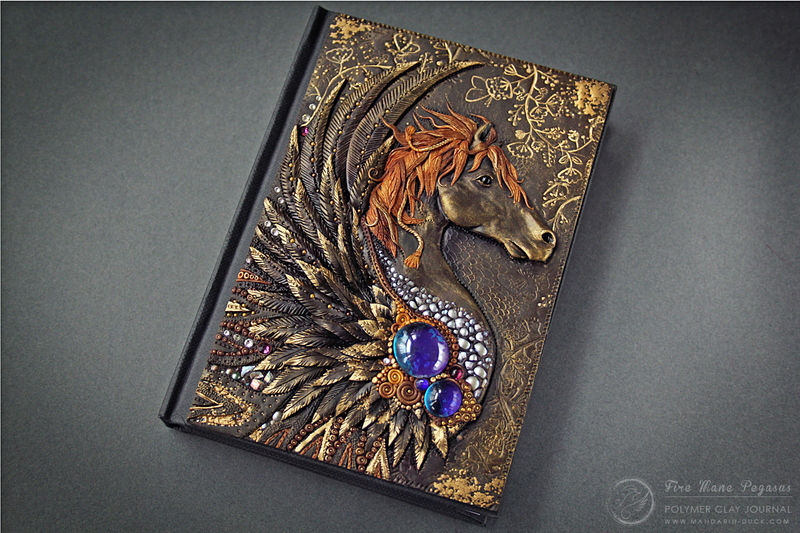 Today I will be happy to talk about my new journal "The Horse with a Fire Mane". It is an A6 journal and it was ordered by a loving mother for her child. Her daughter loves riding horses and even owns a personal Pony and so the daughter says: "When we jump together, I feel like we are flying!". This inspired me to create a pegasus with a fire mane as and I made it quite stocky as a pony would be. I wanted to experiment with incrustation technique and I used crushed freshwater pearls for that. And as I am not into clay swirls of any kind, I also added some little swirls to decorate the wing and the chest. I used fine gold paint to make it really sparkle with golden shades. For the background I used Mandarin Duck Texture stamps (Blossom and Organic Mesh Inverted). I especially like how the mane turned up. It is playful, airy, bouncy and looks natural to me as if wind is blowing at it. 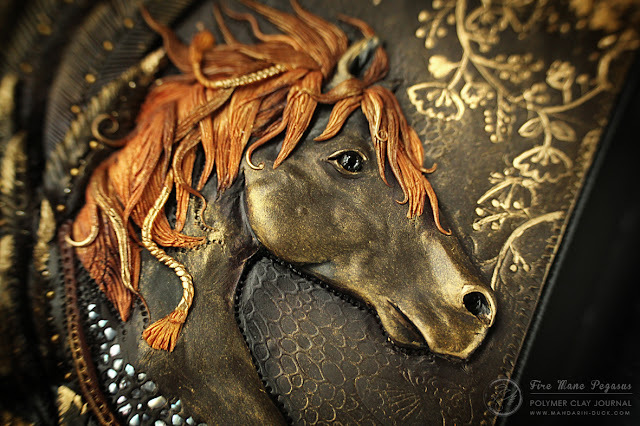 I also decided to add little golden decorative ropes to enhance the liveliness of the mane even more. 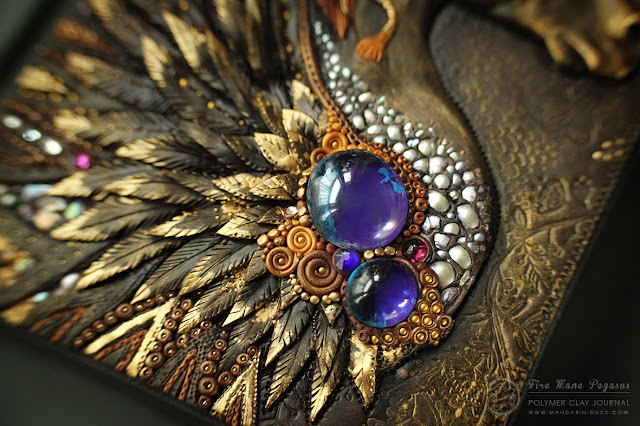 The wing has a combination of purples, golds and pearls for that special royal style. I hope you like it and you can see more of it in my Gallery section or my Flickr Gallery.